We supply: 1. Okume face and Okume back ,hardwood, Combi core MR-AA Grade Face,AA Grade Back in thickness 9mm,12mm,18mm 2.Okume Face and Canarium Back, hardwood combi core MR- A Grade Face , A Grade Back in thickness 9mm,12mm,18mm 3.Okume Face and Okume Back, Eucalyptus core MR+15% Melamine- AA Grade Face , AA Grade Back in thickness 9mm,12mm,18mm 4. Okume Face and Canarium Back, Eucalyptus core MR+15% Melamine - A Grade Face , BGrade Back in thickness 9mm,12mm,18mm We also can do plywood as per customer requirement. Features * Marine plywood is specially treated to resist rotting in a high-moisture environment. Its construction is such that it can be used in environments where it is exposed to moisture for long periods. * Each wood veneer will have negligible core gap, limiting the chance of trapping water in the plywood and hence providing a solid and stable glue bond. 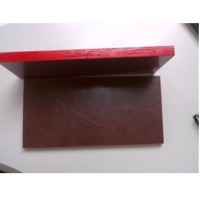 * It uses an exterior Water Boiled Proof (WBP) glue similar to most exterior plywoods. Besides that, the glue used in marine plywood protects it from decay and insects. Applications * The construction of marine plywood is such that it can be used in environments where it is exposed to moisture for long periods, so it’s frequently used in the construction of docks and boats. * Marine plywood can also be used to made truck/container floor. * Sometimes, marine plywood can also be used in construction or all the jobs which can be done by exterior plywood. Short on time? 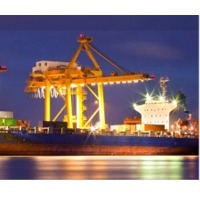 Let marine-plywood sellers contact you. 1. Hard woods with superior mechanical properties are used in the manufacture of Sarkar BWP Plywood 2. Will comfortably meet IS:303-1989 water resistance requirements after immersion in boiling water for 72 hours 3. Superior bond strength between veneers, virtually unaffected by moisture and Dampness. 4. Excellent machineability. 5. 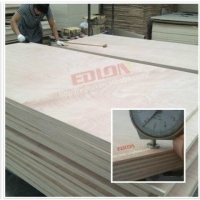 Can effectively replace solid wood of higher thickness. 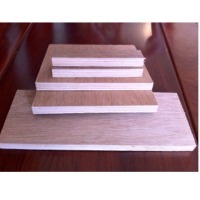 Sarkar Ply can withstand severe climatic conditions. It passes through various quality measures starting from selection of hardwood timbers, and bonded with special quality of BWP grade PF resin. Finally it is treated in a vacuum pressure impregnation plant, using specified borers, insects, fungi and termites. Liaoning Dongdaihe Golden Bay Trading Co., Ltd.
Marine plywood,Marineplex film faced plywood Liaoning dongdaihe golden bay trading co., ltd was found in 2012, after years of development, we have gradually transferred our business from import & export wood products to diversity trade services in providing building materials, seafood, machinery, bathing suit as well as the importing and exporting of goods agency services, our main products are: UV Birch Plywood, Commercial Plywood, Film Faced Plywood, Block Boards, Falcata Bare Core, LVL Plywood, Medium Density Fibreboard, Polyester Board, Oriented Strand Board(OSB), Quartz Stone and so on wooden products and building materials. Our company has established own stable cooperation partner and fast purchasing channel, and have established a long-term and stable business relationship with more than 100 countries and regions through the good prestige, high quality, the high level service and favorable price. We always adhere to the principle of equality and mutual benefit. It is our hope to promote, by joint efforts, both trade and friendship to our mutual advantage. Marine Oil arsec Marine Oil exhibits a high level of detergency and disperancy due to its high TBN and sulphate ash content. 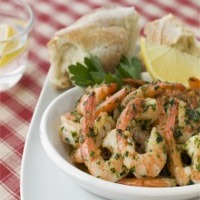 arcec Marine Oil is formulated with high quality base in conjunction with latest additive technology. It is highly recommended for marine and industrial diesel engines including turbo charged models operating in all types of conditions. 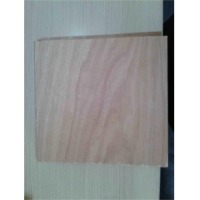 Steel Marine Plywood : 100% Gurjan wood, Marine Grade, IS-710, specialty 19mmPly=15Ply made with Tropical Imported Gurjan wood from Burma & Malaysia with Phenol Formaldehyde Resin IS: 848-1974. Pressed Under High Pressure. Density of PLY- 825 kg m3 (approx. ), Adhesive BWP- IS 848, Moisture Content- 8 to 12%, Glue sheer stent- kg per square inch, Minimum 135, Moisture Resistent- minimum 100, Water absorbent- minimum 3% in 24 hours Gold Marine Plywood : IS-710, 19mm=13Ply made with Tropical Imported Gurjan wood from Burma & Malaysia with Phenol Formaldehyde Resin IS: 848-1974. Pressed Under high pressure. 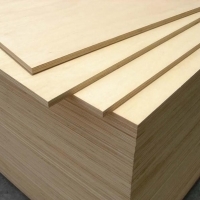 Marine plywood: Standard:BS-1088 Size: 1220*2440/1250*2500mm Thickness: 3---40mm Tolerance: í+0.2mm Core: full okoume Face/back: okoume(thickness:1.0/1.2mm) Glue:WBP(Phenolic glue) Moisture: 8-14% Packing term:Inside: Pallets covered with a plastic bag Outside: Pallets wrapped with veneer and fastened by PVC / steel tape. Min Order: 1x40'ft container Payment: T/T or L/C sight Delivery time: Within 15 days after receiving deposit or Original L/C Productivity: 3000M3/Month . Inside: Pallets covered with a plastic bag Outside: Pallets wrapped with veneer and fastened by PVC / steel tape.